The first episode of the Simpsons — Season 1, Episode 1 — debuted on December 17, 1989. Homer and Marge (with Maggie in tow) make their way to Springfield Elementary School for Lisa and Bart’s Christmas concert. 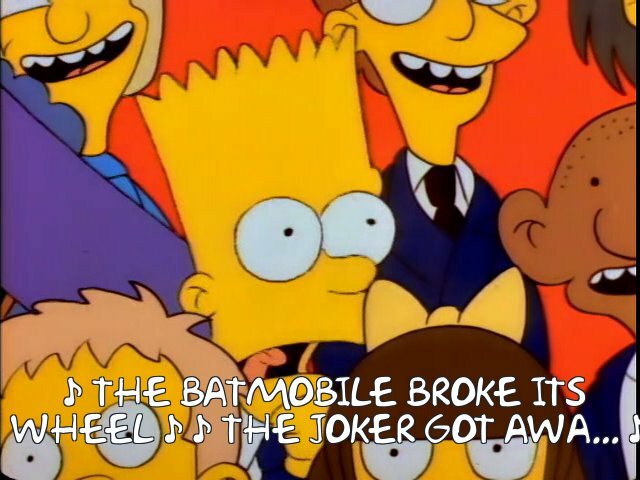 Bart’s grade is singing a Christmas melody featuring the iconic song “Jingle Bells.” But Bart, as seen in this clip goes with some alternative lyrics — “Jingle Bells, Batman smells, Robin laid an egg; the Batmobile broke its wheel; the Joker got awa–,” resulting in him being pulled off-stage. Jingle Bells, the lesson we should learn, is a wholesome Christmas song, not one to be manipulated by a rascally fourth grader. But that lesson is wrong. Jingle Bells is neither a wholesome song nor about Christmas. The song we sing today was originally written by a guy named James Lord Pierpont. Pierpoint most likely wrote the lyrics in Medford, Massachusetts in 1850 although there is some debate around both the when and the where. (He first published the song in Savannah, Georgia, seven years later, and Savannah also lays claim to the song.) Those lyrics, to modern ears, sound very Christmasy — “dashing through the snow in a one-horse open sleigh” — but perhaps only glancingly so; there’s no mention of Christmas itself and the “sleigh” isn’t Santa’s. (Santa’s sleigh, recall, is an eight-reindeer one, with apologies to Rudolph.) Most likely, Pierpoint’s lyrics were inspired by Medford’s sleigh races — and, most likely (per Snopes), those lyrics were written for Thanksgiving, not Christmas — and for a Sunday school class at that. So, Bart shouldn’t have been singing Jingle Bells in the first place — it is about the wrong holiday and the real lyrics aren’t suitable for your typical fourth grader. Let’s not blame him too much for calling Batman smelly.